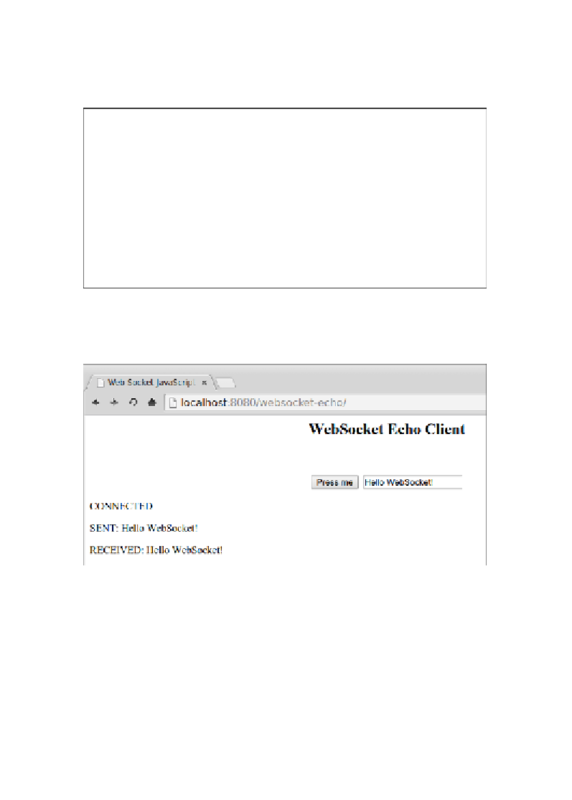 The text Hello WebSocket! Is automatically prepopulated on the text input field. of this at the bottom of the preceding screenshot.